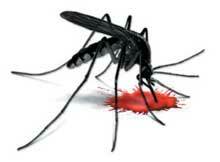 In Odisha, 370 people have tested positive for Dengue till now. Today the state govenrment urged people not to panic over the spread of the disease. 1245 people were affected and three of them had died of the fever last year. Health and family welfare department spokesman said the disease was in fact controlled this time through massive awareness campaign. While the highest number of 50 people were detected to have dengue virus in Bhadrak district, reports of people testing positive were received from nine other districts – Balasore, Cuttack, Jagantsinghpur, Jajpur, Khurda, Kendrapara, Angul, Balangir and Dhenkanal. Health and family welfare Secretary, Arati Ahuja has been reviewing the dengue situation regularly and the department has issued directions to field officials and doctors to provide immediate treatment to patients.